In 1936 Marlin introducted the Model 1936, derived from the older 1893. The Model 36 soon became the Model 36 as we see it here. Produced up until 1948 when it was redesignated the Model 336 that we know today, the Model 36 gets harder to find every year. The Model 36 introduced the round bolt, and the square bolt of the Model 36 is retained only on the Marlin 1894 and the Model 39 (22LR) today. An interesting tidbit of trivia about the particular Model 36 that I own is that it is marked on the Barrel as a Model 36 A-DL. The A-DL had checkered stocks, where-as the standard Model 36 does not. My example, though marked A-DL does not have a checkered stock. It is believed that many of the standard Model 36’s were send out of the factory with ADL barrels. There doesn’t seem to be any premium for these missmarked Model 36’s, but be careful when someone tries to sell you an A-DL for a premium with a non-checkered stock. 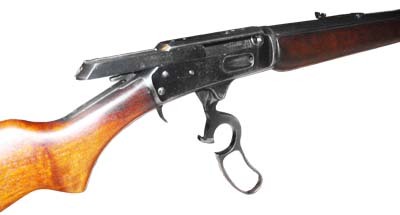 The Model 36 came chambered in 30-30 and .32 Special, those most common being the 30-30. With plenty of 30-30 ammo, the Model 36 can be a daily shooter. 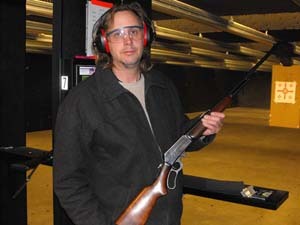 With the 24″ barrel it is very accurate for an iron sight gun. Also available in 20″ carbine, you should be able to find the gun that fits your shooting style without looking too hard. It is always nice to have a new gun, but the old guns are the ones with the history. 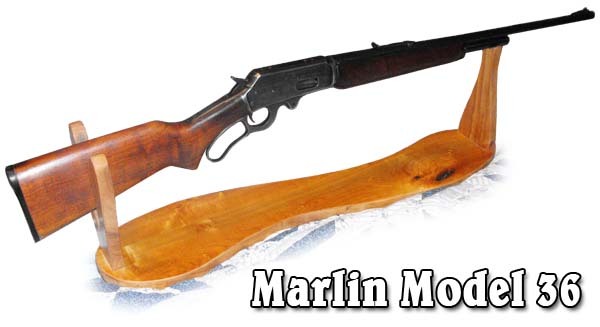 The Marlin Model 36 has a rich history in the gun world. Among the last of the old school Marlins, the Model 36 will bring the classic old world charm of the lever action guns with the reliability and safety of the newer guns. Pick one up and hold it at the next gun show you find one at. It will speak to you. I suggest you listen.